While there certainly are more than a few non-St Patrick’s day activities of note tonight, we’re having a hard time encouraging you to seek them out. Sure, for most, the excuse to get the leprechaun suit out from storage is reason enough to venture out into the often fratastic crowds, but we’re (predictably) most excited about the audio offerings. Somewhat akin to how Leavenworth brings in bands from Germany that are actually pretty great at that time of the year, local pubs do a pretty good job of upping their musical game with Celtic fare. Though not guaranteed to be truly authentic, the musicianship is often solid and the atmosphere is one of Guinness-soaked joviality. 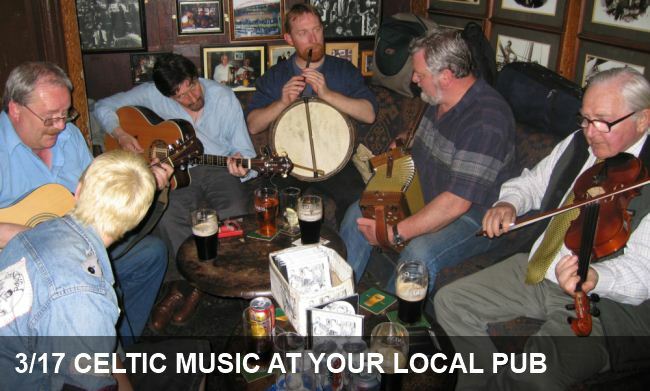 So venture out and raise a pint to an evening of fun and familiar yet foreign tunes.